While there are some people that are “anti-police,” I believe there is reason to question some police actions based on statistics like 1 in 4 people who are killed by law enforcement officials in the United States are unarmed. 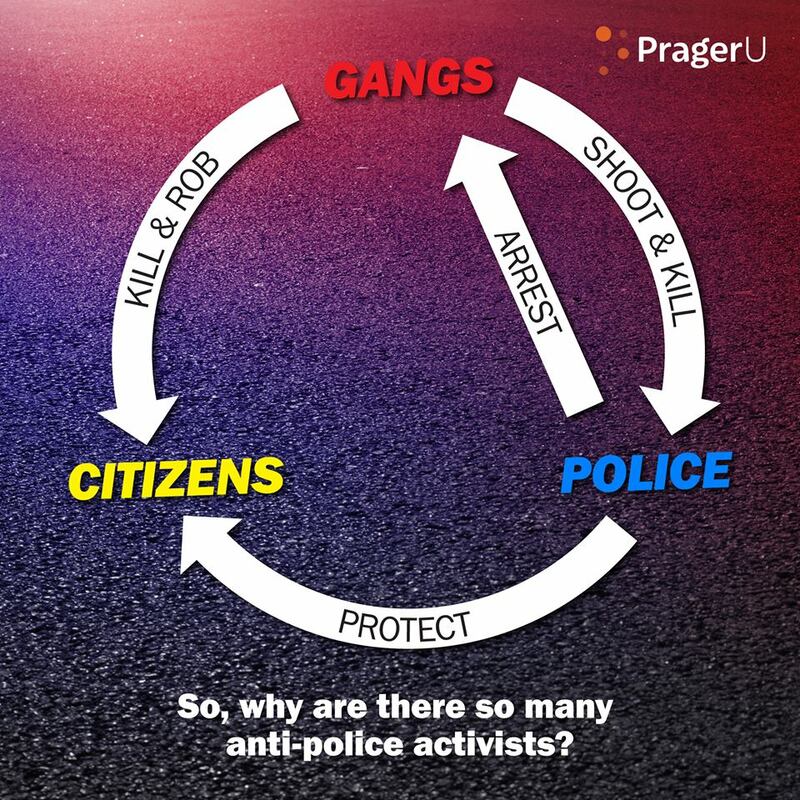 It does not make you “anti-police” to protest police or call for reform. Most people you may identify as “anti-police” are probably better described as pro-police-reform. I have family in law enforcement, and I believe the vast majority of police officers are good individuals who want to protect us. However, we cannot turn a blind eye to injustices done by some police officers. Especially, because the media has learned to sensationalize these stories further dividing Americans. This issue should not be partisan. I agree, it shouldn’t be partisan, but the Black Lives Matter movement has made it so. Their movement has distorted the facts. Thanks for writing. Please come again. While some in the Black Lives Matter movement have made it partisan, we should not completely write off the whole movement. I’m sure we can agree the media shares much of the blame for making it partisan. I kind of agree, but not totally. I respond more fully in my newest blogpost. Thanks again for writing. I do appreciate your perspective, even if I don’t embrace it entirely. I believe BLM has the perspective it does b/c they focus on the African American situation as that is the situation closest to their home. I don’t blame them for being 1st concerned about the treatment of young males of color. I don’t blame them for not getting all worked up over the atrocities done to other groups. They would accomplish more if they addressed the WHOLE situation and were more open to a more inclusive narrative. I don’t know why they don’t, but I don’t hold it against them. Some find it hard to get behind things involving more than their own. BLM may be trying to maximize efforts with in the AA community and expect others to rally their own communities to act. That other communities don’t makes me wonder if The BLM narrative is right or if other communities just aren’t fed up enough yet. It’s partisan b/c most well off people who will never experience these horrible cops are completely isolated. If senators experienced this stuff, it wouldn’t be partisan. When a senator’s wife dares not call the police after being stolen from and he gets threatened w/ death over a simple lights malfunction, it will stop being partisan. When one is fortunate from birth and the dept. never goes bonkers, you cant imagine that it happens. I was very poor but we were law abiding. We called the police and were treated well and given good service. This was when I was a child living in really bad neighborhoods. Now the neighborhood is lower middle class (once middle class not too long ago) and I would not call a cop for love or $$$. I live where cops will yell at/threaten a law abiding citizen (me) asking directions around a road block for filming (unannounced to us and leaving us to wonder how to get back where we came from using small neighborhood roads we’re unfamiliar w/.) These groups are angry at the cops (and not yelling about the gangs) b/c the cop injures/kills w/o just cause and gets away w/ it. Gang members are hunted down,and tried vigorously if captured. A cop threatened to shoot my hubby (across his then 9 mos pregnant wife’s chest) over not having on lights in a light drizzle due to an electrical malfunction of the car. When hubby tried to explain we were a block from home ( showing his license to prove it) and going to get our other car( to take his wife to a final prenatal visit before a c-section), he was yelled at to ‘TURN ON YOUR LIGHTS OR ELSE!” as the cop reached for his gun (leaning in my window to yell at hubby.) Until you interact w/ one of these psychotics, you just dont know how dangerously heartless and thoughtless they can be. They get away w/ shooting people for behaviors that are harmless/no worse than what many nurses deal w/ in our work often w/ only a soothing voice and soft foam restraints. The cops are nervous/sensitive to their safety ( I cant blame them), but they spent decades creating a situation causing people to coldly seek retribution on ANY in uniform. I dont know how we get to a better place now. Even the good cops are more nervous ( and likely to over react or not act at all). This causes more suspicion, anger and mistrust against them from the community. This may cause more violence against the cops, further reinforcing the behaviors of the cops that got this going to start. I used to hear old retired cops brag they never drew the gun and always ran the guy down and handled things “man to man”. Now there is resentment from cops for someone trying to run away from arrest. That used to be an understood natural tendency of one potentially going to jail and was expected and the cop made chase. Upon ending the chase, the cop cuffed the guy w/o extra blows for making him have to run. I often have had to physically chase or confront a violent/uncooperative patient. The patient was not hurt by us nurses and restraints handled the situation to help him “cooperate” w/ care. A gun makes it all different. A gun not dropped instantly should be dealt w/ as needed. Anything else, and I expect these “professionals” to handle things better. It’s silly to be reminded of the good cops when one of these horrible incidents happens. If one heard about any other field having as many uncalled for deaths, I dont think there would so much effort to smooth it over w/ talk of the ones doing the job properly. I dont know what it says about a cop seeking nursing education to leave his field due to “scrutiny”. When I described the scrutiny under which he’d work in this field (and the fact we cant injure violent patients), he left and never returned. He didnt get the new scrutiny of cops has been common for us FOREVER. I used to think one need not worry about cops if one is law abiding. I have found it only takes living in less than affluent area to learn of their brutality first hand. Google a story about a judge being throat punched by a cop for trying to tell what he’d seen. The cop did not know it was a judge. He thought it was just another “civilian” annoying him. What’s w/ cops calling us civilians? EVERYONE not active duty military is a civilian. They redefined the word to separate them from us.Lots needs to change on both sides, but it should start w/ the public servant (they arent called that anymore for some reason) and then activists. The civil servant being paid out of my taxes should treat the citizenry w/ more respect and consideration. HOW DARE one earning my tax $$$ treat me like a serf. Who would rightly pay someone to abuse them for no reason? A long rant i know. NEITHER side is acknowledging their part…especially the “civil servants” who no longer answer to the title that suggests they owe the citizen good service. These depts keep psychotics around after multiple violent/deadly situations even when its deemed improper. WHY?! Wow, that was a scary encounter you had. Thanks for sharing this perspective. A real thought provoker. Tom, I was an ardent supporter of the police (as was my entire family). In the last 17 yrs here in the metro Atlanta area, encounters w/ the cops (for even the most law abiding of us) has b/c full of potential for terrible things to happen. I don’t want to go as far as saying I’m anti police in general, but I have really begun to understand what many in some communities have been talking about for decades. A baby sitter used info she’d gathered (she should be an investigator w/ all the info she managed to gather.) to steal $750 from my bank account and load her phone w/ $750 worth of minutes. Her mom turned her in. She had compiled info on my dead mom and was going to use that too. (info was found written down in her gym bag.) We called the cops. They took the report. Having been asked the same questions repeatedly by different cops, I got a little testy. I said, “If you need more info, the identity thief there probably knows it all.” My neighbor called my hubby and told him that it looked like the cops were only interested in arresting his wife”…me. I was just a little tired from the process, a long day at work and dealing w/ a tot. The cops were acting like I killed someone for my little snark. The police claim to feel in danger at every silly thing and feel the need to get control of the “situation” harshly. If you don’t have the pleasure of living in a town w/ such forces, you cant imagine how ridiculous they can be about dealing w/ a citizen. Worse, my hubby hires people many others wont. He has to ride them to the sites b/c they aren’t able to drive. When these men of color are in my hubby’s completely legal (all be it beat up) truck, he gets the business from the cops repeatedly. I don’t want to add racism to the mix, but it seams they may be. I don’t want anti cop riots. I just want fortunate people to know how easy it is to go from having a responsible force that treat the citizens properly to living in a near police state style cop dictatorship. Once it happens, you cant get the situation back. Several cops have threatened my hubby w/ shooting over the years. He has NO record. He owns a home and business and is highly educated. If such a man (not even large 5′ 9) gets this reaction, imagine some others who may be innocent but just not have such a great outward appearance are treated. Good input. Thanks for sharing.